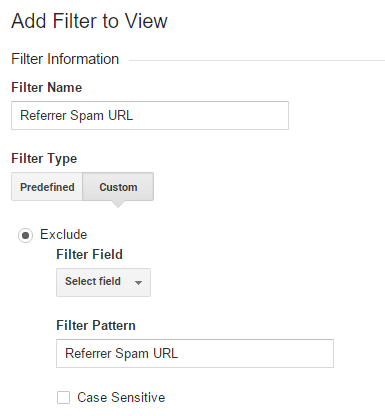 This page was created to help you block the keywords-monitoring-your-success.com /referral spam in Google Analytics. Practically the only reason you are here is because you saw something quite unusual in your Google Analytics function, something that apparently seems like the activity of live humans, but in reality is not. If you’ve seen in your statistics the keywords-monitoring-your-success.com /referral, then you’ve become the victim of “referral spam” – an unsavory new way competitors attempt to put a dent in your efforts. PLEASE, read this! The first order of business is to help you actually understand what this is, how it works, and most importantly – why was it created. Why is this important, you might ask? The reason is that if you understand how the keywords-monitoring-your-success.com /referral spam works, you will quickly realize that the solutions and methodology apply to all referral spam you are prone to encounter in the future. This is something created by competitors and black-hat SEO practitioners and you can bet they won’t stop doing it. So, first things first: the keywords-monitoring-your-success.com referral spam was created as a simple tool to manipulate Google Analytics statistics. It’s just a bot hovering around, connecting to websites – either randomly or because someone sicced it towards you. The one modus operandi you can be absolutely sure of, is that the keywords-monitoring-your-success.com /referral spam and any other kind of referral spam will connect and leave with only a few seconds per session. This is the main point: that each session will never last more than five seconds. The worst thing however is that there are more ways to spam than just referral – referrals are easy to see and with the guide below you can easily block them. Do you have an excessive amount of traffic (again with a very short time per page, possibly even 0.00 seconds) coming from the same exact geo-location? Not country, mind you, a specific city or location. Another possibility is an internet provider. This is a lot trickier to spot, because the sessions here are not the same duration, they always range between 1-10 seconds, so it’s harder to detect them. This is a chameleon kind of referral spam. Referral spam like keywords-monitoring-your-success.com can only affect your data in Google Analytics. It’s just a pest that makes things harder for you to understand and at worst it can confuse you greatly, making any campaign (advertising, for example) decisions be made for the wrong reasons. The other kind of spam is actually harmful: extreme amounts of it are called a DDoS attack. Most of the time this doesn’t occur, but small amounts of it always exist. In essence, it creates a bot that goes through proxies that just connects and disconnects from you all the time, plummeting your average duration per page. We, for example have had exactly that kind of problem in the past. The result was that one of our pages fell from the first spot on Google, to number 10. Really. One thing I can say for certain is that, although the keywords-monitoring-your-success.com /referral spam is far from being a real problem, it should not be ignored. Obviously, you are on this page, so you’ve definitely received the message. Thank you for reading this piece and I hope the information will help you in the future. 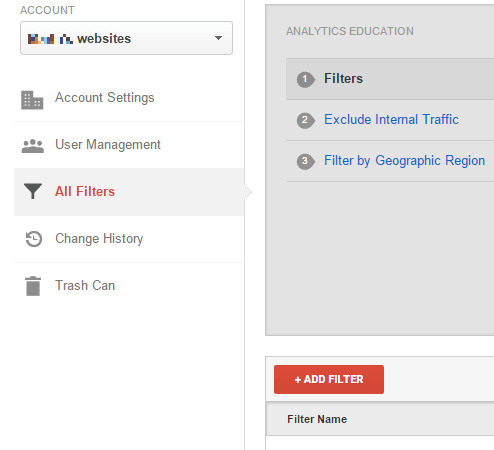 STEP 2: Next, click New Filter and add keywords-monitoring-your-success.com in the Filter Name value. STEP 3. Select the Custom Filter Type. In the Filter Field —> Campaign Source. In the Filter Pattern text box, add keywords-monitoring-your-success.com and click the Save button at the bottom of the webpage. Hi Monami, glad we could help!